Topic : "Checkout this cool fractal program"
Fractal is basically just a mathematical formula that can create infinite amount of detail (like a mandelbrot http://en.wikipedia.org/wiki/Mandelbrot_set). I found this cool program where you can create 3D fractals. It lets you render it out as a video or an image of your choosing, and I think you can also export it as a model to zbrush if you like. Anyway this image is straight out of the software with no paintover. I can see huge potential for landscape painting and for designing stuff. 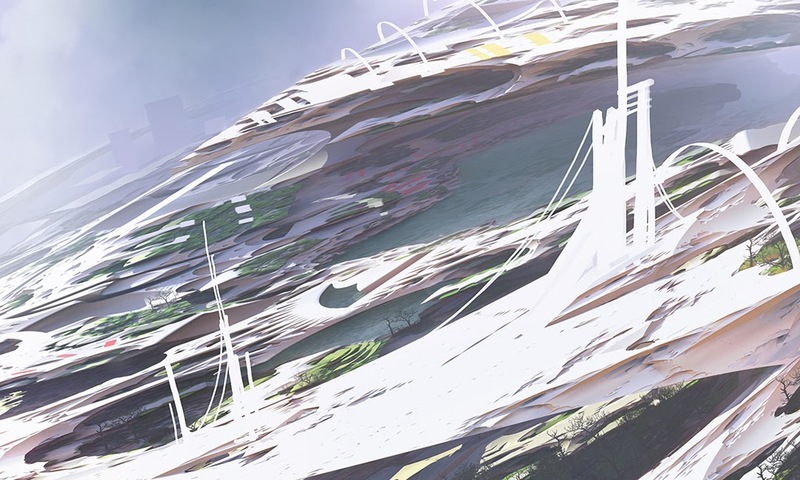 That image has a bit of a John Berkey feel.